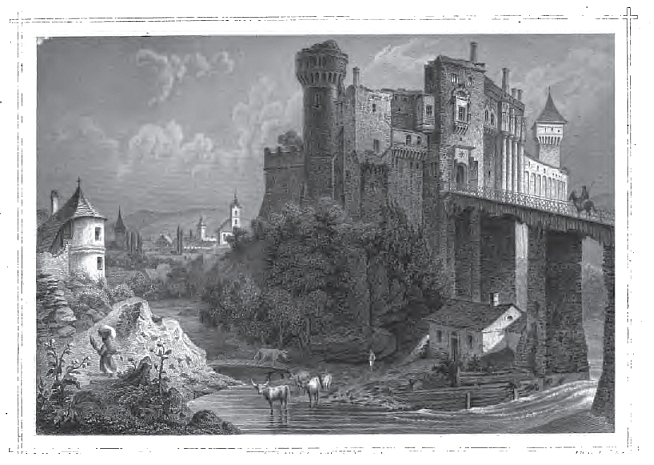 This castle is the the image of the nearly ruined castle of the Hunyadi family. At the height of its glory, John Hunyadi renovated it. His son would reign as king of Hungary from 1458-1490. The important aspect of this castle was the fact that there is the connection between the Tepes family and the Hunyadi family. In fact while the fathers of Matthias Corvinus Hunyadi and Vlad Tepes were enemies, the sons had an uneasy truce. The reason for this lies with the Ottoman Empire. 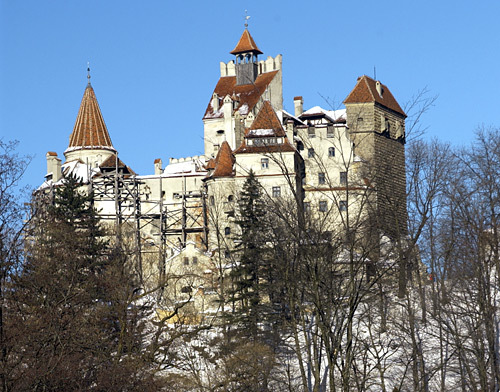 At this point, Hunyadi needed Tepes to protect his territory, which included Transylvania. 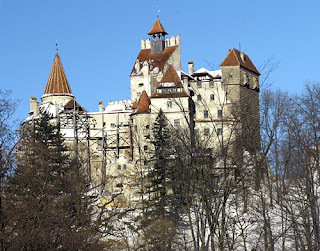 Bran Castle... which lies in Transylvania and close to Wallachia. Part of this protection which the King of Hungary gave to Tepes, was the support of the Hungarian army. The chances were strong that at this point Tepes and his brother Radu might have used the Hungarian Army to protect Wallachia-- Tepes having married into the Hunyadi family. Once his brother was killed, Vlad would be killed in 1477. By this time, the Hunyadi and Dracula connection was secured. Tepes's sons from his second wife would marry into Hungarian nobility and possibly would remain in Transylvania.. This would last until 1919.